On the system side, the OPPO R7s is equipped with the new Color OS® 2.1 system. The overall design style is very simple, plus the app icon with high saturation and vivid color redrawing, which makes Color OS significantly improved in terms of fluency and overall visibility. And in addition to the icon and the main system interface changes, all the secondary pages and icons are as simple and more focused, such as music, clock, calendar and other interfaces are completely new. On the system side, Glory 7 is also equipped with a new version of EMUI 3.1 system based on Android 5.0 development, and because of the relationship with young users, it uses bright and bright colors in UI style, and also incorporates various 3D UI 2.0 themes and controls. It brings a dynamic 3D effect when the screen is switched, fully satisfying the needs of young users. For the camera, the OPPO R7s uses a front-mounted 5 million + rear 13- megapixel camera, also uses a hybrid focus system, including contrast focusing and phase focusing technology. The lens of the R7s is an optical lens from Schneider-certified, and OPPO’s unique PI original drawing engine 2.0+, which automatically recognizes the scene and can install and uninstall the shooting mode by itself. Let you take the beauty you want anytime, anywhere. And Glory 7 is absolutely conscience in the camera configuration, it uses Sony’s latest Exmor RS IMX230 stacked sensor, provides 20 million effective pixels, and adds support for phase detection autofocus (PDAF) technology, bringing faster focus Speed; the sensor also provides up to 192 AF points, which greatly enhances the focus speed and accuracy of moving objects, allowing the phone to get a clearer image when shooting moving objects. On the screen side, the OPPO R7s is equipped with a 5.5-inch screen with a resolution of1920x1080. It uses the AMOLED material that Samsung is proud of . It has excellent color performance and is overwhelming in terms of viewing angle and contrast compared to general LCD screens. Advantage. On the screen side, the screen size of Glory 7 is controlled at 5.2 inches, plus a very narrow border and a large screen ratio. For most users, it will not affect the normal operation when holding with one hand. With a resolution of 1080p and 85% color saturation, it can provide users with fine and vivid image quality. It is very attractive to the human eye when enjoying photos or watching movies. 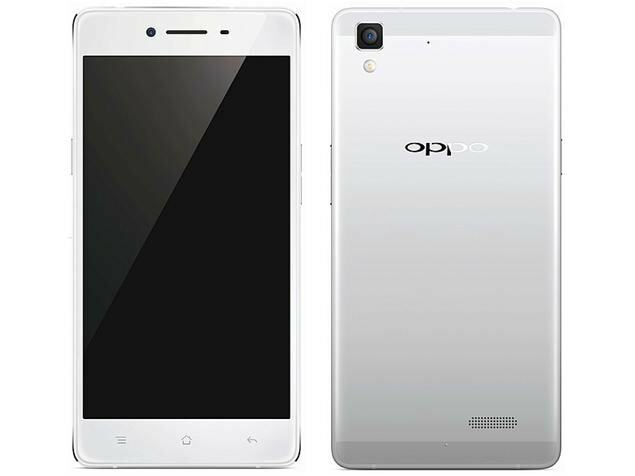 Configuration, OPPO R7s SoC has two versions, divided into 4GB RAM version and full Netcom 3GB/4GB version. The full Netcom version is equipped with Qualcomm Snapdragon 616 MSM8939 eight-core 64-bit processor, with 4×1.5GHz A53 + 4×1.2GHz A53, 28nm LP process. The mobile version is equipped with an MT6752 eight-core processor with a maximum clock speed of 1.7GHz and supports 64-bit computing.